As the leaves change color, it’s time to explore some of DC’s best free attractions, events and things to do. Fall in Washington, DC is full of free things to do, from festivals and foliage to celebrating Halloween and observing Veterans Day. The city features plenty of experiences perfect for the season, including the scenic and the spooky. Discover all of the ways you can have a memorable autumn adventure in the District without putting a dent in your wallet. 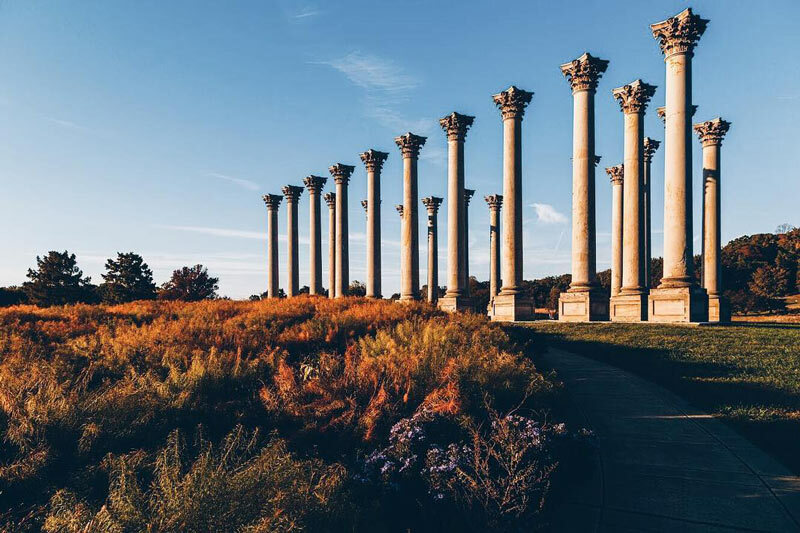 Tucked away in Northeast DC, just two miles from the U.S. Capitol, the National Arboretum is an oasis in the city, no matter the time of year. But the stark contrast of the sandstone Corinthian Columns that once supported the U.S. Capitol and the vibrant leaves on surrounding trees make fall one of the most beautiful times to visit the living tree and plant museum. 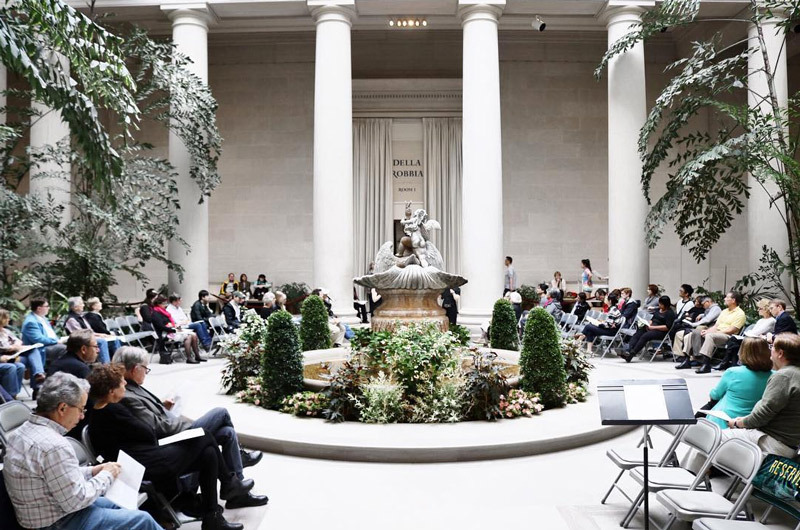 Get swept away by live music with free concerts at the National Gallery of Art throughout the fall. Performances take place in the West Garden Court as well as in the East Building, which hosts special after-hours Evenings at the Edge events in September, October and November. Speaking of the East Building, make sure to explore newly renovated galleries, a rooftop sculpture garden and rotating exhibitions. 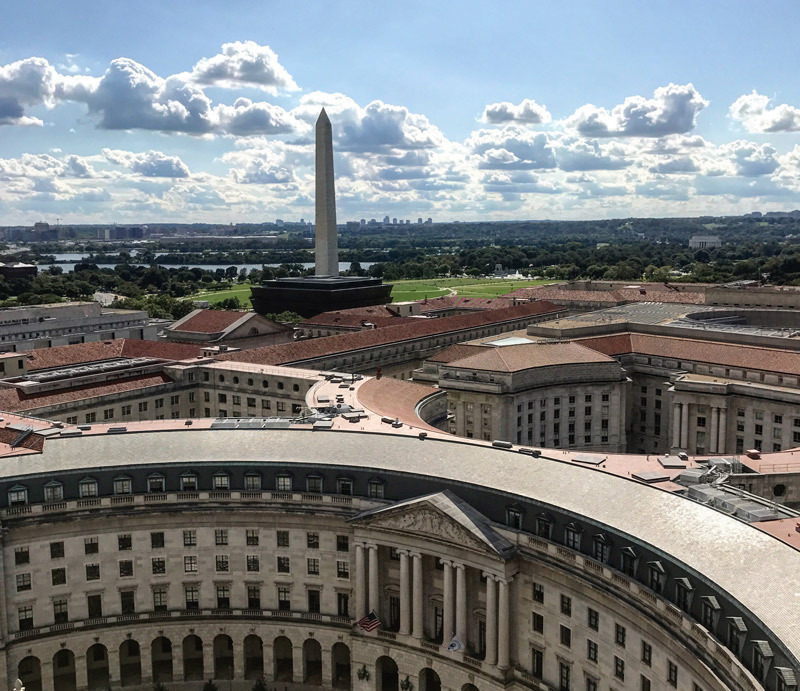 Although the Old Post Office is now the Trump International Hotel, you can still experience the historic building’s clock tower, which is operated by the National Park Service and features stunning elevated vistas of the District. Admire the city’s expanse, and you should be able to spot some fall foliage, too. Tower hours are 9 a.m. to 5 p.m., Thursday through Sunday, with the last entry coming at 4:30 p.m. Admission is, of course, free. Winding from DC into Virginia, the George Washington Memorial Parkway is designed for recreational driving, with numerous scenic overlooks lining the way. Each one is clearly marked, so you and yours can pull over to take in jaw-dropping fall scenery, from foliage to the Potomac River to DC’s incredible skyline. 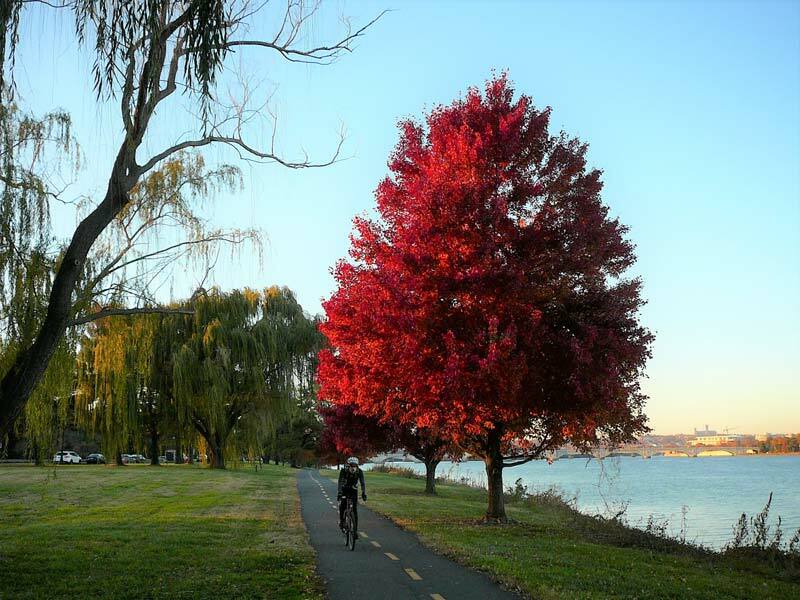 Other free activities on the parkway include biking or running along the 18-mile Mount Vernon Trail, renting canoes or a picnic complete with a crisp autumn breeze. Many of DC’s monuments and memorials honor servicemen and women, and the city’s museums are filled with military history that showcases the sacrifices made by American armed forces. 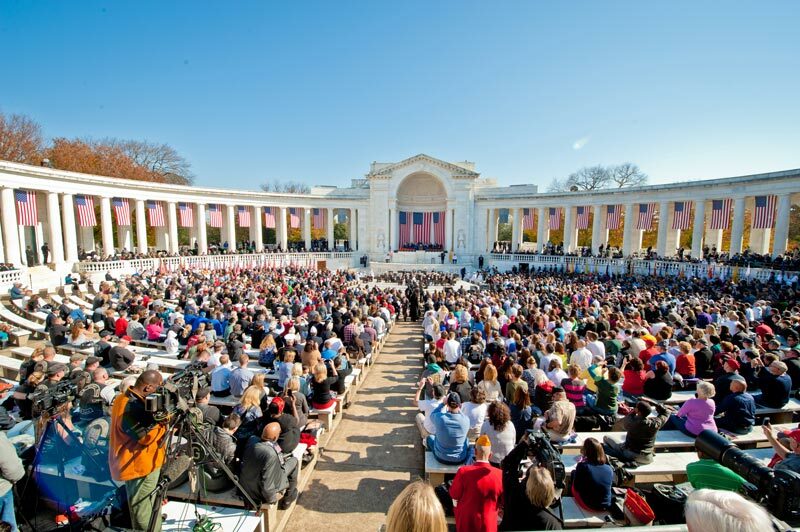 On Veterans Day and throughout the preceding week, many of these places host commemorations as well. You can take part in nearly all of these experiences for free. 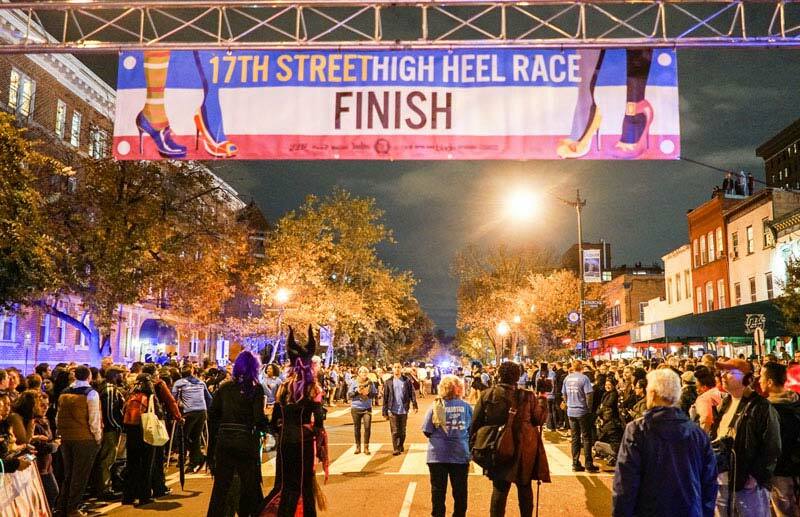 An epic DC tradition for more than 30 years, the 17th Street High Heel Race turns one Dupont Circle neighborhood street into a raucous, Halloween-flavored spectacle. Heel hobblers, most of whom are decked out in full drag and makeup, are cheered on by screaming fans for the full quarter-mile race. Photo ops, chuckles and plenty of fun are sure to ensue. Quick note: no chairs or animals allowed, as these intense competitors need as much space as possible to strut their stuff. 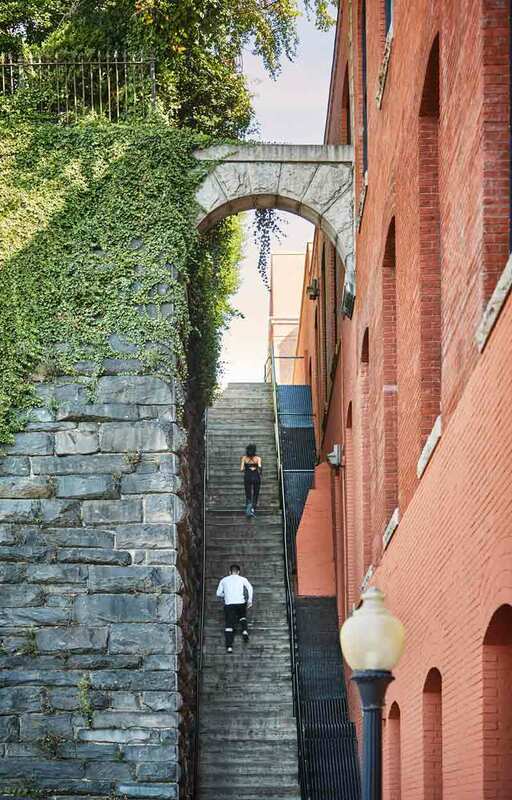 A draw for fitness buffs and movie nerds alike, the 75 super-steep stone stairs at the corner of 36th and Prospect Streets in historic Georgetown gained their big moment of fame as the spot where Father Karras tumbled to his demise in the 1973 horror film The Exorcist. The staircase even snagged a historical designation in 2015. 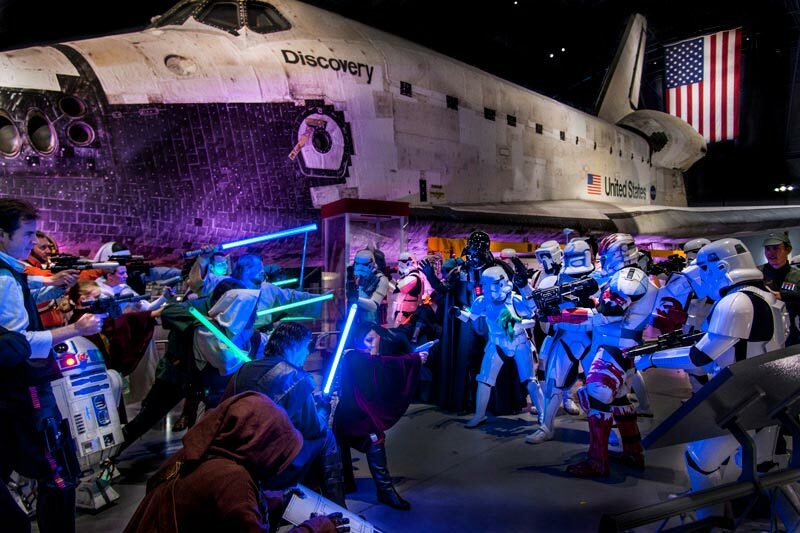 Every year, the National Air & Space Museum’s Steven F. Udvar-Hazy Center in Chantilly, Va. hosts Air & Scare (this year, the event will be held on Oct. 20 at 12 p.m.). The annual indoor romp asks that you and your entire family rock your Halloween attire and get ready for an intense round of trick or treating. But the fun doesn't stop there: crazy science experiments and creepy crafts are on the ledger as well. Although donations are highly recommended (and reservations are required), you do not have to pay a cent to join any of the four creepy walking tours that DC by Foot offers. The tours cover Georgetown, Dupont Circle and Embassy Row, uncovering ghosts, spirits, curses, mysteries and much more. One of DC’s most popular neighborhoods pulls out all the stops for its free annual festival, one of the most well-attended in the District. 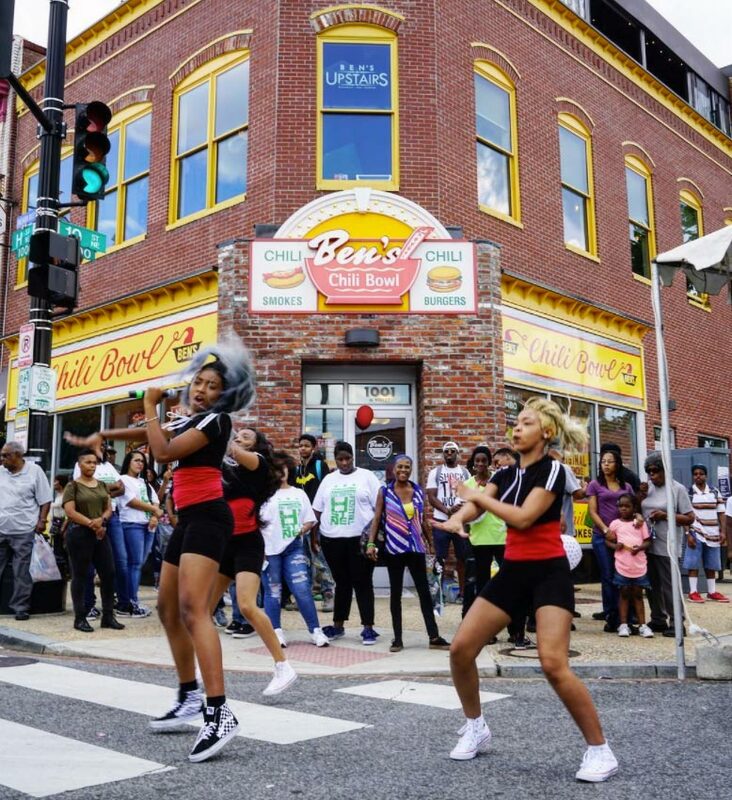 The H Street Festival regularly features live music, dance performances, family friendly activities, contests and plenty of food vendors across its numerous staging areas, with anywhere from 200-250 businesses participating each year.